Of course Mr Hague is right in saying that we shouldn't overlook Russia's incursion and the Mandelson moves do look to be a concerted attempt to be conciliatory. However there is also great danger in isolating Russia and handing the initiative to the anti-western elements around Medvedev. A Russia cut asunder would be a more difficult prospect to control than a Russia engaged by the west. Very difficult to get the balance right. One thing is for sure, the Labour government has been highly inconsistent in its handling of Russia generally. The on-going diplomatic faux pas, at times reflects the weakness inherent in Labour's foreign policy brief. At least someone is applying some sense to the problem. I mean, do the Conservatives have an economic policy? I don't think so. I love all this talk about "Russian aggression"! How many people are dead as a result of neocon lies about weapons of mass destruction in Iraq? OOPS! I wasn't supposed to mention that. We apparently went into Iraq because "the world is a better place without Saddam Hussein". If I have any doubts, presumably I just need to remember that British soldiers are "fighting in Iraq for my freedom of speech". It was Georgia who invaded South Ossetia. Russia saved lives by taking out Saakashvili's war machine. Or do Ossetian lives not matter because they're Muslim? Quite right they can't. Which is the EU army needs booting into touch, and NATO remain the primary defence union. One thing that may be overlooked is that the countries that are in the EU are now a lot less prone to Russian interference. It is why I think extending EU membership to Ukraine, Georgia and Turkey is a worthwhile strategy. Wheb Russia grows up, it can join too. Oh Putinfan, "The vast majority of the Ossetians are Orthodox Christians; there is also a significant Muslim minority." I don't think the 30% of the SO population that were Georgians were Muslim either. You are worse than a cokehead waiting his turn for the pipe. Go lie down. snegchui, if Turkey, Ukraine and Georgia all join the EU, tell me, how will Britain cope with the additional tens of millions of migrants that will surely flock to our shores? Carefully and more openly than the present Govt. The big issue with immigration has been the lies of the Labour Central Govt that it wasn't happening and therefore not funding local authorities to cope with health and educational and housing budgets. Labour lies, a la Mandelson, are thefts in a very physical sense. This point needs to be made again and again. Lies steal. We heard from Labour a one-sided argument, the benfits of immigration. Which from a cental Govt perspective was true, tax revenues in. We did not hear the other side of local Govt incurred expenditure - unfunded by those central Govt revenues - where did those go - expensive No 10 wines? Russia knows that the West wont use military force against it and wont consider economic action because Russia controls energy supplies across Europe. 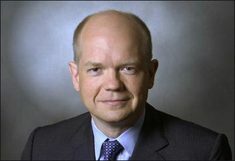 I know why Hague says what he does, but threatening Russia does absolutely nothing and to advocate trying to be diplomatic is not giving succour to them, its called being mature. Sorry for the frequent posts above but the site seemed to proceed OK but not update. Assumed you had run out of server space.